Tractors are loaded now with air conditioning, GPS, music, and auto-pilot so it can plant corn. Driver just needs to turn the tractor around when it gets to the end of the field. Yeah, really! I especially like the idea of the kids participating in projects for the fair. They have the opportunity to raise and show animals, grow veggies, and/or work on a craft like needle work, woodworking, painting, photography, and more. Finishing the project, having it judged by an expert in their field, and displaying it to friends, family, and the entire community is quite a boost in self-esteem for any kid. Responsibility and work ethics are lessons learned when entering projects in the fair. Some of the lovely sewing projects are shown here proudly displayed with the award winning ribbons. What can I say? If you read Coda to Murder, you'll know I am particularly partial to pigs. Baby goat, one of the cutest animals there IMHO. Baby mesmerized by the newly-hatched baby chicks. Mr. Peacock struttin' his stuff for all the ladies! Horse events and handling all kinds of animals are popular at the fair. The county fairs are having a tough time of making it these days now that the state of Michigan has dropped supporting the fairs in every way. As an example, kids used to receive a token amount of cash for their ribbons, but not anymore. That didn't decrease the participation in the events. This enormous barn to house draft horses is one of the many improvements to the grounds . Another new facility for the horse arena. Business people and community organizations stepped up this year to pay for improvements to the fairgrounds. The area is looking pretty sharp and much more handicap accessible. 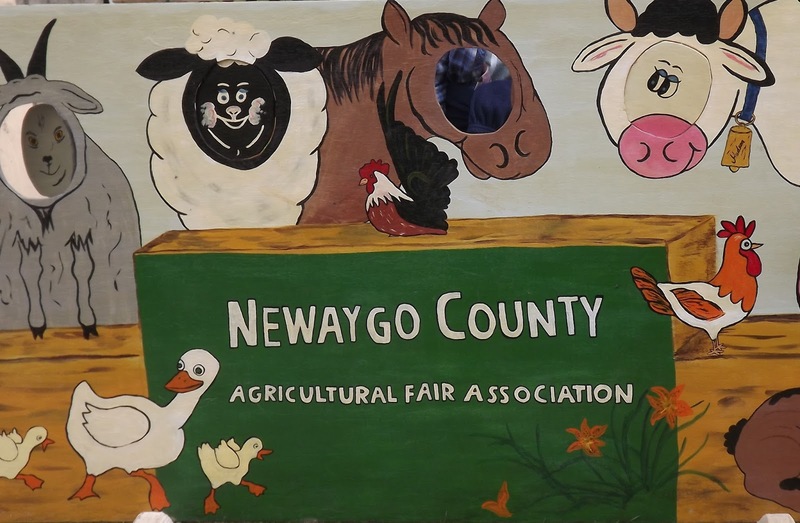 The county fair is one of the highlights of summer and a tradition for area families. The dream to promote agriculture and grow the economy by bringing the country and the city folk together through the fair continues to be realized. A huge thank you to all the volunteers, sponsors, business community, and foundations who make this event possible every year. Have you had any experiences with the county fair/state fair in your area? 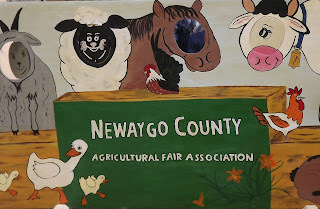 What time of year do you go to the county fair? Monday, August 12--I review an entertaining fantasy for middle graders, Kiera's Quest Awakenings by Kristy Brown, on the Girls Succeed blog. It's the first story in the Kiera's Quest series at MuseItUp Publishing and Smashwords and major online booksellers. 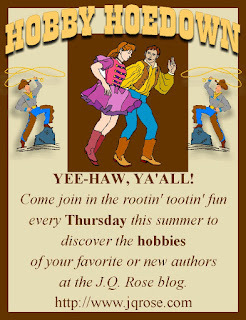 Thursday, August 15--Hobby Hoedown continues featuring David Fraser showcasing his hobby, planes. Ya'all come back this Thursday now, ya' hear? My goodness, the little piggies look exhausted. Just too much fun, me thinks. This weekend passed was our airshow and next weekend is our rodeo. Our fall fair comes at the end of the month. I wonder if all this goes on so we folk would cry over summer leaving? Hmm.